I look forward to the holidays all year. Nothing makes me happier than giving gifts, baking cookies, wrapping presents, and enjoying my family. But, so often my holiday cookies come sprinkled with anxiety, worry, and exhaustion. Because, when you’re parenting a child with ADHD, sensory issues, or other social disorders, you can expect your pumpkin pie to be served with a large helping of sensory overload, inappropriate responses, meltdowns, and disappointments. And, while the holidays are often a time to revel in the unexpected, many kids and adults are simply unable to enjoy these aspects of the season. In fact, the unpredictability, lack of routine, and heightened expectations can set them off. There’s no holiday, no time off from ADHD and the struggles that many of our special needs children face. And, all too often what results during this season is the exact opposite of a Hallmark greeting card. While the season may never be what I expected, it’s not impossible to have a peaceful, enjoyable holiday season free of epic tantrums or battles. 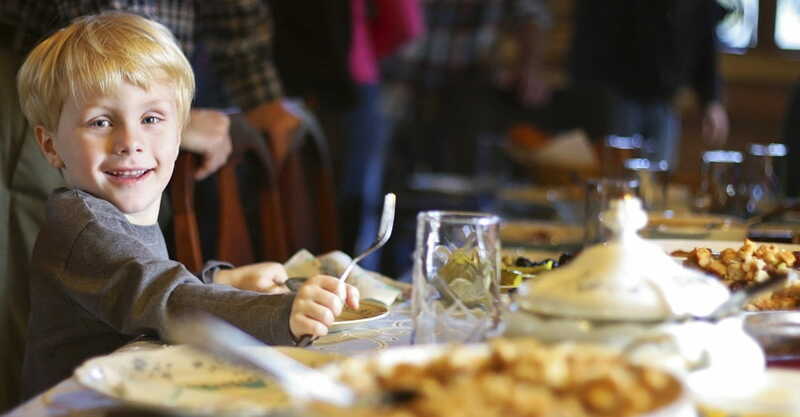 Follow these critical tips to stop your holiday celebrations from unraveling. During the holiday months our calendars fill quickly with special events, shopping, etc. This often requires us to change normal routines and schedules to accommodate the season’s merriment. But, a jam packed schedule can negatively impact a child who needs routine, structure, and predictability. The unpredictability coupled with late nights, unexpected changes, and heightened social requirements can spell disaster. They need you to be in control with a set plan in place to feel safe, calm, and meet the season’s challenges. During these months, create a calendar in advance and make sure your child has access to it so that they know what is coming and can set expectations. Also, be willing to space events out, especially if they involve your child’s stress triggers such as meeting new people, loud noise, crowds, etc. As much as possible stick to your normal routines. This means get up at the same time, go through the normal morning requirements, and stay on meds and on diet. Keeping your child on their diet can be hard during a season where sugar, dye, and over-eating seem to be seasonal sports. But, I promise you’ll be thankful you did when you see everyone else’s kids spin out of control. The saying “failure to plan is a plan to fail” couldn’t be more accurate in this situation. The holidays put us all in situations with higher expectations and social and emotional requirements that can be very challenging, but nearly impossible for children who have special needs. From meeting long lost relatives who want close physical affection, to constantly being tempted by off-diet foods, to spending hard earned money on others, your children will be tested in new ways during this season. Any of which could sabotage the fun if not carefully considered and planned for. So, what does this look like in our home? Before parties we practice proper social expectations and conversation starters, discuss who exactly will be there, and arm our son with a few tools like gum, a book, and even conversation cards that help him to feel more comfortable and regulated. Taking sensory tools like gum or a weighted vest that encourage regulation can be the ticket to a fun holiday experience for everyone. We also discuss expectations with those we will see and are careful not to put our son in situations where he cannot succeed. For us this means that we do not visit Santa as our son is scared of anything in costumes. It also means we choose 1-2 parties each season rather than saying “yes” to every invitation. This will look different for each family but the key is to think through your commitments and your child’s triggers and then plan coping strategies ahead of time. The many requirements of the holidays can create stress for even those with the best coping and social skills. For those who struggle, they can be even tougher and cause withdrawal, depression, and a general hatred of the season. You simply can’t do it all and trying will poison the entire experience, especially when we raise the bar too high for those who struggle with ADHD or sensory issues. That’s why it’s important to focus on only what matters most and prioritize those gifts above all else. In our home we call it “living with intention.” We discuss what matters most to us about the holidays and then focus our energy, calendar, and attention on only those things that fit into that picture of the season. For us, it’s gifting what we love and spending quality time with those whom we love. So, we don’t spend a ton of money at the mall but our grocery bill almost doubles so that we can cook traditional recipes and give food gifts to teachers, bus drivers, and friends. Focus your schedule on those holiday memories and experiences that matter the most to you, and be flexible and willing to say “no” to the rest. This will create a much more meaningful and rich holiday for your entire family and limit the times a meltdown or struggle can happen. And, if something just isn’t working, like a service project or holiday craft, scrap it. No recipe or handmade ornament is worth ruining the season and damaging relationships! Baby, it’s cold outside! So, tis the season to be sedentary, right? Wrong. Exercise is critical for physical, spiritual, and emotional health. Exercise engages the attention system and enables proper executive functioning including sequencing, memory, and organization. And, it improves our attitude. During exercise the brain releases chemicals that regulate attention, mood, and pleasure. So, if you want your little elves to stay focused, regulated, and happy this holiday season, be sure that exercise remains on your to do list. Consider creating an indoor play gym equipped with a small trampoline, mini basketball hoop, hula hoop, and jump rope in your garage or basement. Do indoor obstacle courses that include running up and down stairs or crab crawling. Or, exercise the old fashioned way by bundling up and playing out in the snow as a family. Keep movement engaging, fun, and part of the daily routine to minimize complaining. We all wear many hats in life — employee, sister, brother, church member, etc. And, during the holidays our to-do lists and roles often double because of the nature of the season. It’s so important that we remember that we are parents first. This is hard for an extroverted holiday lover like myself. I want to say yes to every party, make every kind of cookie, and sing every carol starting in September. But, this just doesn’t work well for my mover and shaker. While I’d attend every party and talk to every distant relative, my son is terrified of new situations, homes, and people. As much as I love my grandma’s cinnamon coffee cake, my son is gluten free now. Parenting involves sacrifice, even during the holidays. So, I have to remember who I am first the other 10 months out of the year: his mom. And that’s the best gift I can give him, being present, engaged, and focused on helping him to navigate and enjoy the holidays with as little stress as possible. While it takes effort, planning, and commitment, being structured, flexible, prepared, and active during the holidays will put more joy under the tree. If you’d like to know more about how to parent and educate a child with learning struggles, you can visit us at www.homeschoolacademy.com or give us a call at 800.863.1474. Article originally published at the Homeschool Academy Blog. Used with permission.